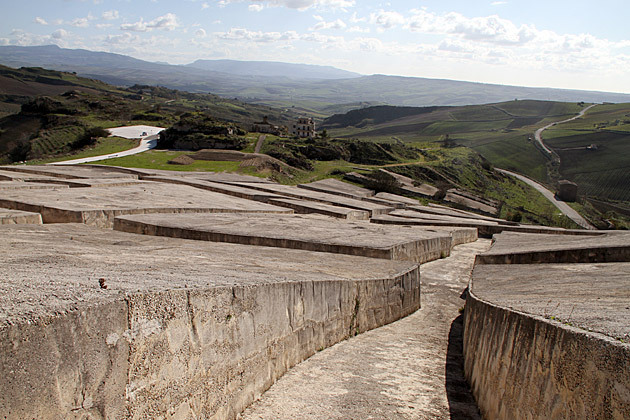 Burri covered the streets of Old Gibellina with concrete, preserving the layout of the blocks. Walking around his monument is unsettling. You’re not just standing on the gravestone of a city, but actually tracing the lines of its corpse. Block after block of grey concrete rises from the ground, like the ghosts of buildings. 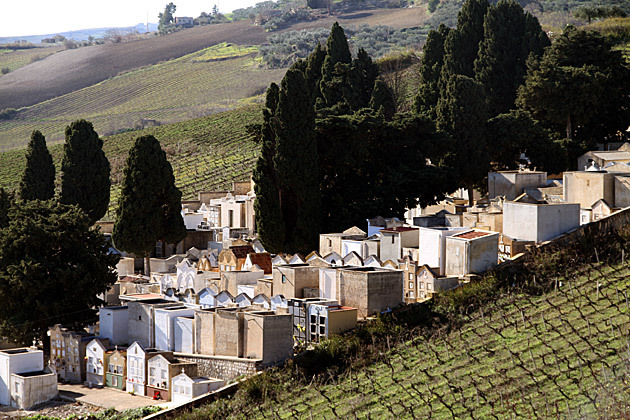 They’re high enough to peer over, so that the rest of the graves are always visible, along with the valley stretching out into the distance. I expected to feel despondent while walking around this modern graveyard, but in truth I experienced something closer to comfort. Nature might have the strength to effortlessly topple our cities and wipe out huge swaths of our population. But we have the ability to make artwork out of the damage, transforming devastation into something eloquent and meaningful. Nature may be more powerful, but humanity is pretty cool. 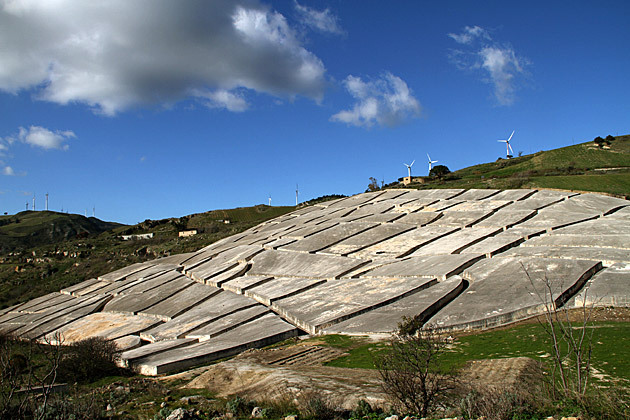 The Cretto di Burri In 1968, the hillside town of Gibellina was devastated by a 6.1-scale earthquake. 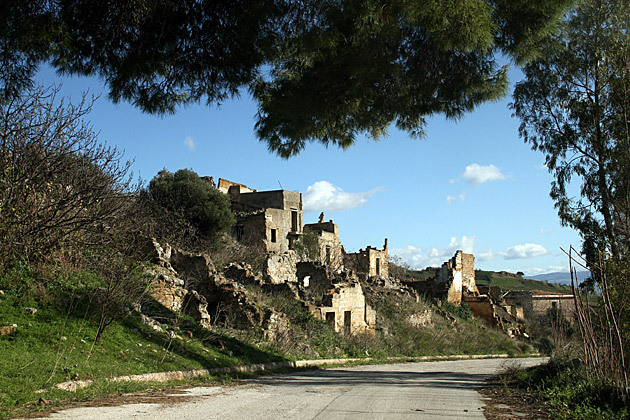 Somewhat like the residents of Noto, who befell a similar fate, the town decided to abandon the ruins and start from scratch in a location which was close by, and hopefully more stable. 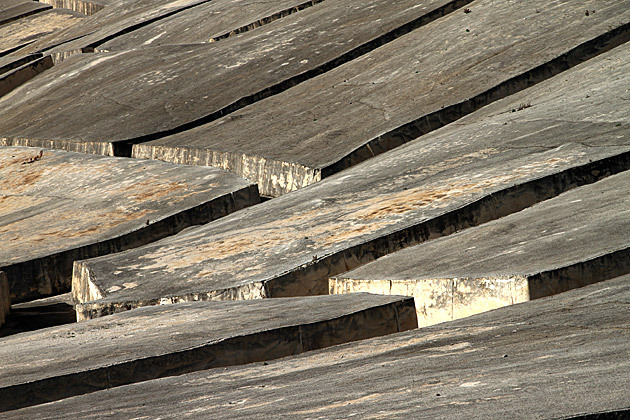 Between 1985 and 1989, an Italian artist named Alberto Burri used the old city's ruins as the canvas for his most audacious work of modern sculpture. 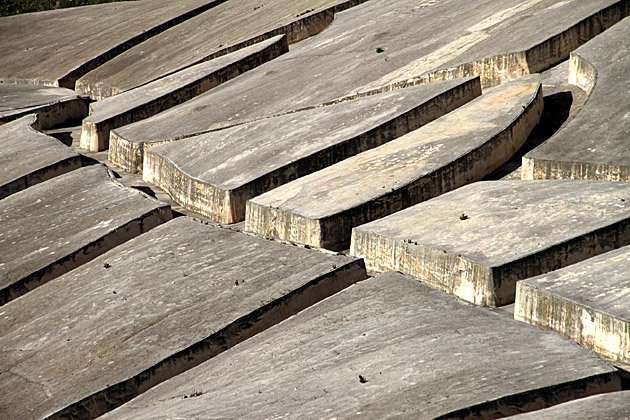 The resulting concrete cemetery is a bold piece of art, a comment on death, and a moving tribute to the devastated city. This is some wonderful blog. i find this town hideously ugly. to my eyes there is nothing beautiful about it. 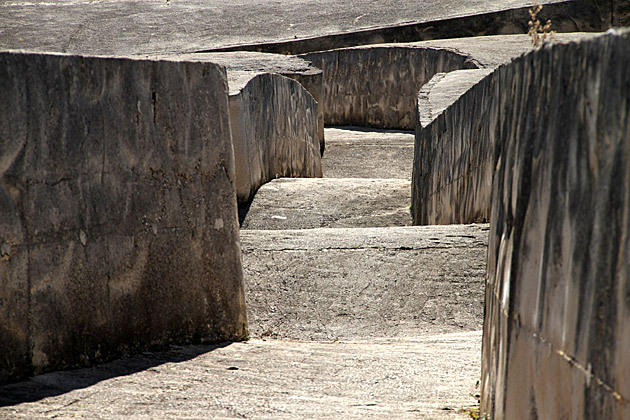 it would have been better to see the ruins in their natural state than seeing them covered in concrete slabs. perhaps the “artist” has connections to a concrete business. 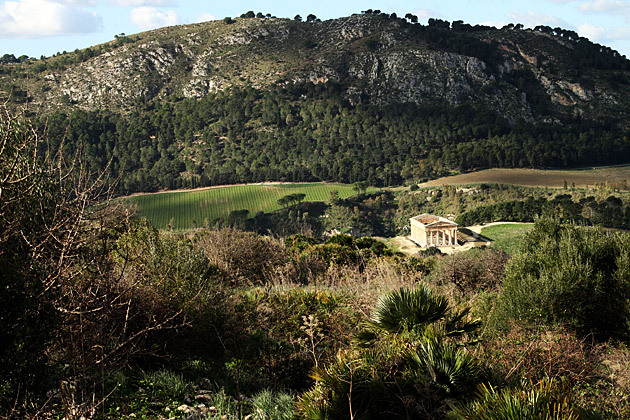 gibellina aside, i think your blog is fun. 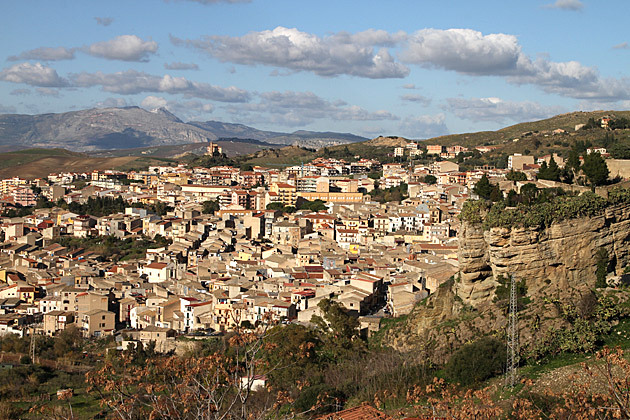 i’ve visited sicilia many times and love the island. it’s been interesting for me to “revisit” through your eyes. It’s very good piece. What’s interesting to see in this ‘floorplan’ view is the way we have this weird partitioning concept of inside and outside and how concentrated-in-space we live. When you realize every chunk here is a block with a few houses, now imagine the town again, but without the wall, only the floors and people (floating over the concrete, doing their things). That’s a big cloud of people clumped into the landscape. Compare this to the emptiness of the neighbouring farmlands, it’s weird no? 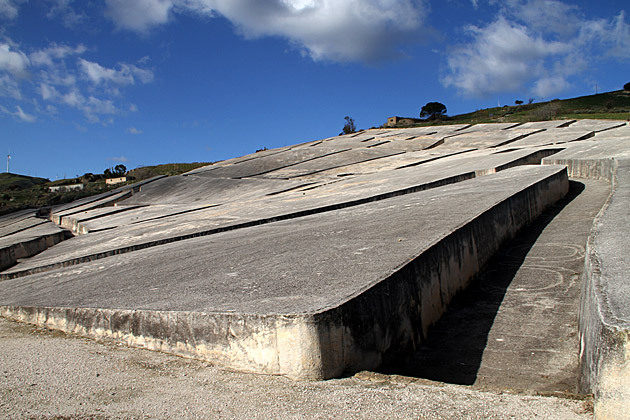 This thing that Alberto Burri has done is amazing. The scale of his art is astonishing, and it preserves the incident and damage in a frozen time period, reminding us of nature’s destructive powers and unexpected occurrences in life. Cool! 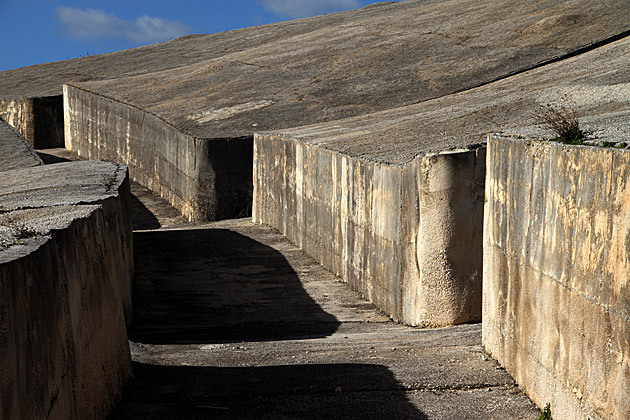 Wikipedia notes that”The work [Il Cretto di Burri] is the subject of a short documentary by the Dutch filmmaker Petra Noordkamp which was created as commissioned by the Solomon R. Guggenheim Museum to be screened at the Alberto Burri retrospective held at the institution from October 9, 2015 until January 6, 2016. [5“I saw the film, haunting and beautiful, and look forward to visiting the site in October.